Play Therapy is an evidence based intervention for children that facilitates the development of adaptive social skills and emotion regulation capacities. Play is the first and most natural language for children; through gentle guidance and a child centered approach, the therapist can facilitate self-expression and learning in ways that are most comfortable for the young child. 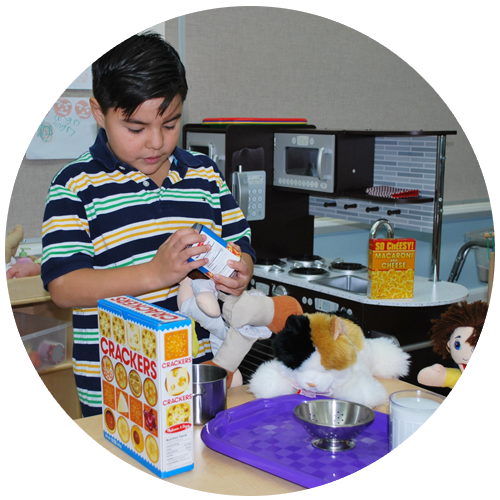 The RISE Program is equipped with a state of the art Play Therapy Center. Students will meet for sessions in the Play Therapy Center with a Licensed Clinical Social Worker who has extensive training in Play Therapy theory and techniques.